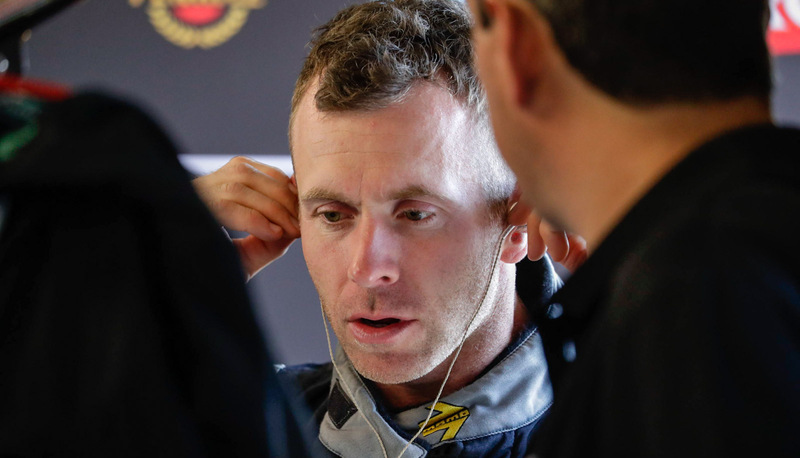 Dale Wood will step down from full-time driving in the Virgin Australia Supercars Championship at the end of the current season, Erebus Motorsport has confirmed. The team has issued a brief statement thanking the 34-year-old for his efforts with the squad since moving from Nissan Motorsport over the off-season. Aside from a strong fourth at Bathurst, Wood has endured a difficult season, and is currently 23rd in the standings. As reported this week, Dunlop Super2 Series young gun Anton De Pasquale is a hot favourite to secure the #99 Holden seat for 2018. Erebus says it will confirm Wood’s replacement next week. “Dale has been a great contribution towards our progress this year and we appreciate his efforts,” said Erebus manager Barry Ryan. Wood won the 2013 Super2 Series before stepping into the main game, running two full-time seasons with Brad Jones Racing before single years at Nissan and Erebus. He’d previously run a partial campaign with Kelly Racing in 2009 and has not missed a Bathurst 1000 since his debut the year prior.